If your home is starting to look old or out of style, you may not need to invest in an exterior renovation. You may be able to spruce up the look of your home by just replacing the windows. The style of your windows can change the whole look of your house, both inside and out. 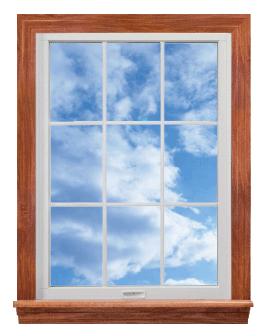 Casement windows are both stylish and practical. These windows have one large, uninterrupted piece of glass, not smaller panes. The windows open like a door, allowing you to let in more air and making them easier to clean. Large casement windows can make a home seem larger and more inviting. Casement windows also lend a modern look to your home since they have a simple design. Awning windows have a more traditional look. Instead of sliding up to open, the bottom sash tilts out like an awning. The windows can come with panes or with a larger piece of glass. With either design, the windows have a quaint feel that makes your home seem more cozy and inviting. If you want something different than the traditional square windows, you should look into architectural style. These are windows with a half circle at the top, round shapes or unusual geometric shapes. These windows create a different look for your home, helping to play up its natural architectural details. For example, the rounded tops of some windows can contract the roof line or accentuate the pitched patio roof. You can find architectural windows with a variety of functionality, such as single hung, double hung, casement and awning style openings. Whatever style you choose, it is recommended that you choose vinyl windows. No matter the style, vinyl windows will help your home save energy by providing an additional layer of insulation. Vinyl windows also do not warp, rot or rust, so you won't have to spend a lot of time or money maintaining the windows. They will retain their shape and their look for many years to come. Give us a call if you want to have your windows replaced. We have some of the best deals on the highest quality vinyl windows in Toronto. You can update the look of your home and save money at the same time.